The Buffalo Nickel (sometimes called the Indian Head Nickel) is a U.S. five-cent coin that was designed by sculptor James Earle Fraser in 1912. It was part of the Mint’s campaign to beautify American coinage and featured a realistic portrait of a Native American on one side and an image of a buffalo on the other. It was produced at the Philadelphia, Denver, and San Francisco Mints from 1913 to 1938. In 1904, President Theodore Roosevelt had decided that U.S. coins needed an artistic upgrade and asked the Mint to hire Augustus Saint Gaudens, the famous sculptor, to redesign as many coins as was legally possible. (Federal law required most coin designs to continue in circulation for at least twenty-five years before being redesigned.) Saint Gaudens created two new coin designs, the eagle (a ten-dollar gold piece) and the double eagle (a twenty-dollar gold piece). After Saint Gaudens’s death in 1909, other sculptors continued on with new, more artistic designs for the cent, the quarter eagle (a gold piece worth $2.50), and the half eagle (a five-dollar gold piece). It was now time for a redesign of the 26-year-old Liberty Head Nickel. Charles Barber, the Chief Engraver of the U.S. Mint and designer of the Liberty Head Nickel, created several designs for a possible new “Washington Nickel,” but that coin was never approved. Instead, the Mint Director, Abram Andrew, became enthusiastic about designs that had been submitted by James Earle Fraser, a sculptor who had worked as an assistant to Saint Gaudens. Fraser’s designs had originally been for a one-cent piece, but with Andrew’s support (and the support of the next Mint Director, George Roberts), the design was adapted in 1912 to a five-cent coin that became the Buffalo Nickel. 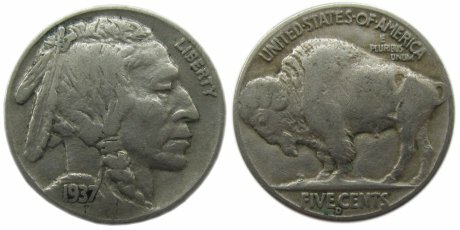 As was the case with many coins, the Buffalo Nickel was the subject of controversy before it even went into production. Several coin-operated machine manufacturers asked for more information to help them adapt their machines to the new coin. Treasury Secretary Franklin MacVeagh assured the manufacturers that there would be no change in the size, shape, or weight of the nickel. The Hobbs Manufacturing Company, which manufactured a machine to detect counterfeit nickels, was not satisfied with this assurance and immediately began demanding changes to the new coin. 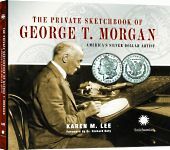 For the last half of 1912 and into 1913, Fraser, the Mint, and the Treasury Secretary tried to work with the Hobbs Company’s increasingly unrealistic demands, but as that became more and more difficult, eventually the Mint and the Treasury Department finalized the coin design over the Hobbs Company’s objections. The Buffalo Nickel was officially introduced into circulation on March 4, 1913, and within a week Chief Engraver Charles Barber was expressing concern about how quickly the dies were wearing out during production. According to his estimates, Buffalo Nickel dies were wearing out and breaking more than three times faster than the Liberty Head Nickel dies. Barber and others at the Mint also believed the Buffalo Nickel would not hold up very well to ordinary wear and tear, and that in particular the date and the “FIVE CENTS” marking would wear away completely. To correct these problems, Barber prepared several revisions to the design, Fraser approved them, and this slightly revised Buffalo Nickel went into production right away. Oddly, the dies wore out even faster after Barber’s revisions, and the changes didn’t help with the wear problem, either. In 1937 a worker at the Denver Mint polished a Buffalo Nickel die to remove “clash marks” — the marks and scratches that occur when dies are stored in direct contact with each other. Unfortunately, this worker did his job too thoroughly and not only removed all the clash marks, but one of the buffalo’s legs as well. Amazingly, this mistake was not caught until after thousands of these “three-legged nickels” had been minted and put into circulation. The Buffalo Nickel was in production for the mandatory twenty-five years, from 1913 to 1938. In 1938, as soon as was allowed by law, the Mint announced a competition to design the Buffalo Nickel’s successor. The Jefferson Nickel began circulating in November 1938. Filed under Buffalo Nickel, Coin History, Indian Head Nickel.